Joining Hess at Inner State will be Detroit’s own Ron Zakrin, whose new body of work Exiles continues to evolve Zakrin’s massive body of work with an ever growing cast of mythical beings and social pariahs reimagined in a modern context. Executed primarily with pen and ink, much of Hess’ work for EDP depicts dynamic figures and angelic characters in adverse situations. Showcasing Hess’ strong technical skills and compassionate feel of his craft, these new works allow the artist to give fans a glimpse into his own personal struggles. For Hess’ second solo exhibition at Inner State casual fans and longtime collectors alike are both sure to be surprised by this entirely new collection which features Hess’ first fully refined works created with three-dimensional cardboard assemblage. These new layered works bring viewers one step closer into Hess’ unique world. “I was drawing on cardboard one day, but I didn’t like the background of a piece, so the idea came to me, why don’t I just cut the foreground figure out, redraw the background on another piece of board, and adhere the figure on top of it? There it was. A figure coming out of the piece and creating nice cast shadows at the same time. I then began pushing the layer numbers creating all sorts of backgrounds, middle grounds and foregrounds,” Hess added. 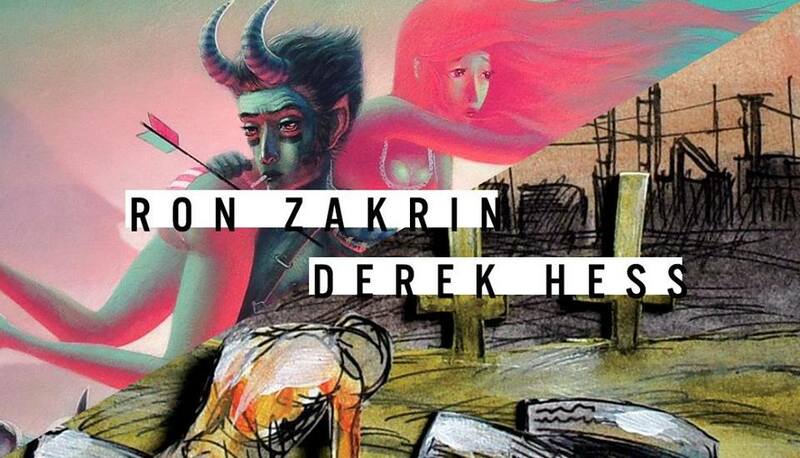 Bringing new work of his own, Detroit artist Ron Zakrin captures the outcasts, loners and beings that do not fit in with society with new paintings created in the heart of the city. Although a sense of isolation permeates the series, Zakrin’s portrayals are filled with undertones of beauty, motion and humor. “For this exhibition I will not only be showing new figurative works -- an angel hitchhiking, Satyrs burning cities to the ground, fauns in lingerie, you get the idea -- but there will be a few of my new paintings on tar paper which, unlike my previous works on tarpaper, undergo a surface preparation resulting in a surface quality unlike anything else,” Ron Zakrin said from his studio in Detroit’s Historic Eastern Market District. “I have also been revisiting techniques that have not been exhibited in quite some time so there will definitely be a surprise or two,” Zakrin added. See the entire line of paintings for the show via 1xRUN here. 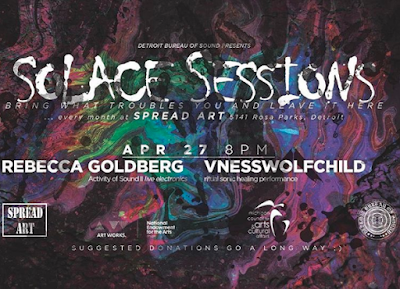 Ever since seeing a short expose on DetroitPerforms.org of Josie Pace, I was not going to pass up an opportunity to catch her live at a local venue. Whatever it took, wherever it was, I was going to be stealing pixels! Thanks to Small’s Hamtramck, I didn’t have to wait very long. (This was only their second live show…ever…) Bonus points for opening act Ghost|Synthesis, another artist I have been jonesin’ to catch locally. 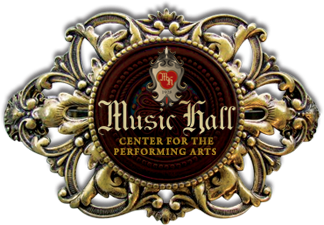 One night… two new artists (to me, that is)… an intimate venue… a few PBRs… perfect. If you are up for a phenominal voice reaching out from a stellar industrial-vibe provided by Ken Roberts (keyboards/synth) and Mark Damian (drums), mixed with a stage presence that says “…this is what I have to say…“, then catch a show if you can or find them on the web. With top-notch videos already under their belts, a serious eye for fashion and visuals, Josie Pace is Detroit industrial punk eye-candy with a stainless steel ice pick heading for your ears! While I wanted to steal Jeff Rebrovich/Ghost|Synthesis‘ pixels as well, photos would do absolutely no justice what-so-ever. He is a visually-overloading, aurally-captivating presence that deserves your full attention… or at least a really hi-end video camera. Next time. Definitely next time. Thank you, Josie/Ken/Mark. Thank you, Jeff/G|S. On this troubled earth, the mind needs some time and space to decompress. What can art offer us? Can we obtain peace through a performance? Is there meaning in witnessing something beautiful? Can music offer us solace? Bring what troubles you and leave it here. April 21, 2017 with a public reception (6-8pm) and remaining on view until May 26, 2017. The exhibition features the work of Tony Cox, Greg Fadell, Sadie Laska, Jane Moseley, Jonathan Rajewski, Scott Reeder, Tyson Reeder, and Joe Roberts. Developed in concert by Founder Terese Reyes with artist Scott Reeder, themes to be explored in Undercover Boss: surveillance, labor, privacy, oversharing on social media, the unobtainable balance between work and life, mistaken identity. Established by Terese Reyes in 2017, Reyes Projects is a contemporary art gallery in Birmingham, Michigan. The gallery occupies a 4,600 square foot space in the newly-renovated landmark Wachler Jewelry building on Old Woodward Avenue. Reyes Projects will reveal five exhibitions a year dedicated to emerging and mid-career artists. It is with such presentations that the gallery seeks to reveal a profile both internationally renowned and regional in dialogue. 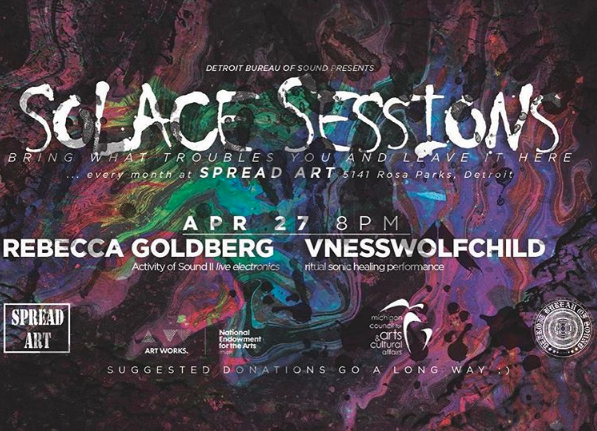 Collaborating with local patrons and institutions alike, the gallery hopes to continue to diversify and strengthen Detroit’s burgeoning arts community. Reyes Projects will participate in its first art fair, the Dallas Art Fair, opening April 6, 2017. The gallery will present a solo exhibition featuring the work of Jonathan Rajewski, also featured in its inaugural exhibition. Terese Reyes is an arts professional living and working in Birmingham, Michigan. She graduated with BA from Georgetown University and masters in Contemporary Art from Sotheby’s Institute of Art. 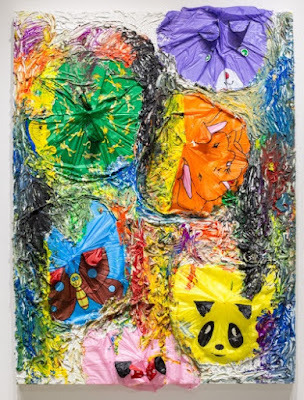 Reyes previously held positions at Andrew Edlin Fine Arts (New York), and Marlborough Chelsea (New York, now Marlborough Contemporary). Now that the season has officially arrived, consider putting Spring Cleanup on your calendar. Belle Isle's annual event, scheduled for Earth Day, Saturday April 22nd, prepares the park for the season while also celebrating its beautiful community. It truly is perfect for individuals, couples, families, small and large groups. Recreation passport requirement is waived for Spring Clean-up volunteers. Individuals, families and small groups register on-site the morning of the event. We ask that you bring your own rake and work gloves; there will be some onsite for use while supplies last. If you have other cleanup supplies (such as a leaf blower) please feel free to bring them as well! Leaf bags provided by the MDNR. 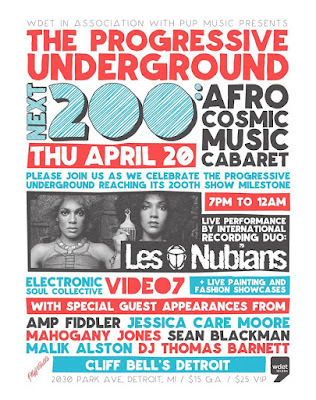 Join us as we celebrate WDET's The Progressive Underground w/Chris Campbell reaching its 200th episode and beyond with the AFRO COSMIC MUSIC CABARET taking place Thursday, Apil 20, 7 pm - 12 midnight. 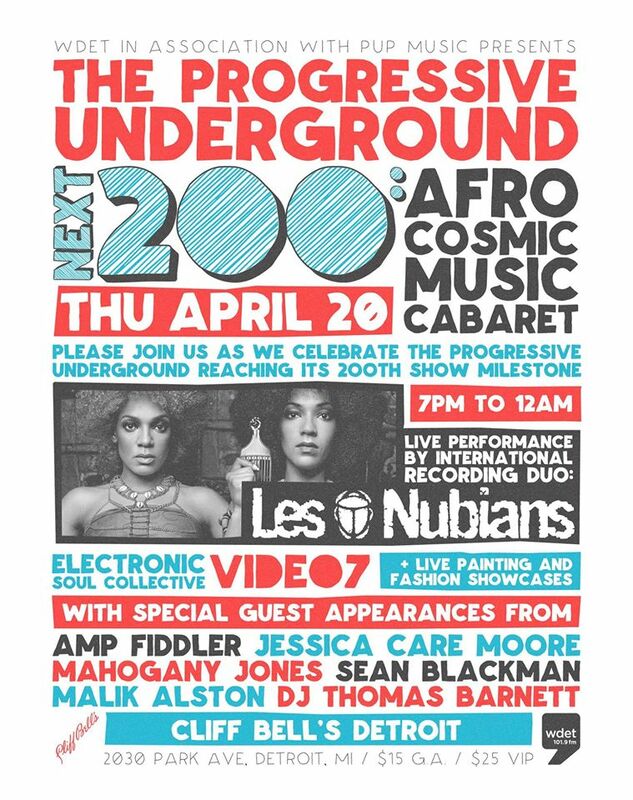 The event is hosted by writer/DJ/media personality/tastemaker and Progressive Underground host CHRIS CAMPBELL and will feature this amazing lineup of talent. Special Guests: Jessica Care Moore, Amp Fiddler, Mahogany Jones, Sean Blackman, Malik Alston and many other surprise guest appearances. 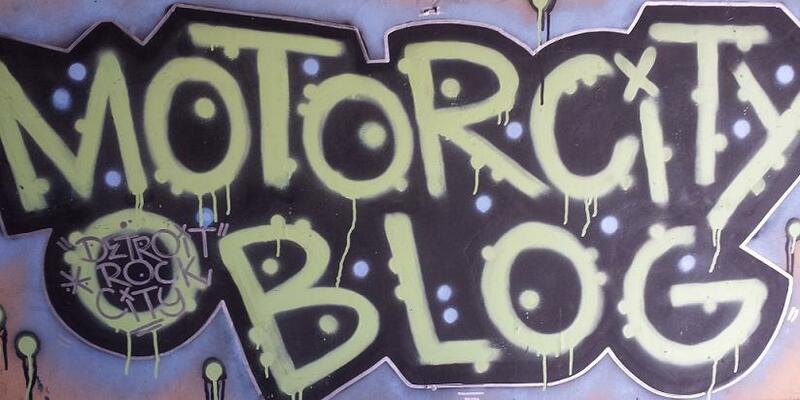 There will also be live-painting by a visual artist and fashion showcase by one of the area's hottest designers. 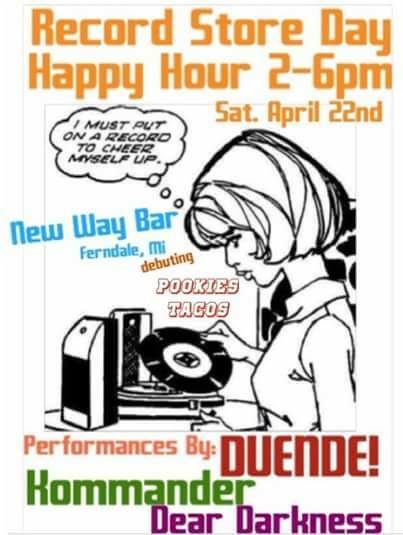 COMING UP (4/22): Record Store Day Happy Hour at New Way Bar! Oh man! Last year on Record Store Day, DUENDE! unleashed their monster hit, HEAD (and how to get it), as a 7" single on deep purple and classic black vinyl, stacked, and, backed up with MOTOR-PSYCHO, at the New Way Bar, in Ferndale, to great merriment, and (h)ope, and, f*cking in the streets. Even Charlie Leduff was on hand looking for a microphone stand. NO COVER. Same as it ever was. 2PM - 6PM. 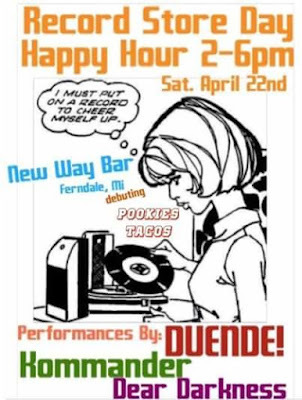 New Way Bar also has the honor of debuting POOKIE'S TACOS, yes, the same Pookie who plays in the Detroit's Nice Boys of Rock 'n' Roll, the BEGGARS. DUENDE! did two sets last year, but wanted to Rock 'n' Roll with some pals this time around, so we asked Kommander, and, Dear Darkness to play a set each. A Non-Profit, Open Source – Science Fiction Convention Held April 28-30, 2017 In Southfield, MI. Everything from writing to programming to cooking to hubba-hubba. I’ve already double- and triple-booked myself from hour to hour. It’s a great deal for a full weekend of entertainment, and after 15 years, these folks know what they’re doing. The whole schedule is available here.